The “next industrial revolution” is rapidly heading our way. Digital technologies are transforming the way new products are designed, manufactured, marketed and distributed. A radical shift in manufacturing is taking place, one that takes control away from the traditional manufacturers and places it into the hands of the creators themselves. The rapidly evolving fields of personal fabrication, digital manufacturing and 3D printing are beginning to do to manufacturing what the internet has done to information-based goods and services – and will ultimately have the power to transform creative culture. These developments are being driven by creative people. In garages, workshops, studios and backyards around the world, artists, craftspeople, hobbyists and inventors are designing and making things, their creativity empowered by a proliferation of user generated, open source and easy to use tools that are now freely available online. The explosion of DIY creativity that started out with simple propositions such as selling hand-crafted products on Etsy, now extends to complex platforms such as the trailblazing Arduino electronics hardware project that allows creators to integrate intricate electronics into their works. One only needs to look at the online marketplace of personal fabrication service Shapeways (tagline: “passionate about creating”) to view this cultural revolution in progress. The Shapeways Shop provides innumerable examples of unique new products and artworks, designed by inventors, artists and hobbyists from around the world. See for example Dutch kinetic artist Theo Jansen’s Strandbeests – a tiny but fully-functional version of this incredibly complex artwork is available through the artist’s own Shapeways shop, enabling the artist to develop a sustainable business from sale of his artworks. Services such as Shapeways make it easy for creative practitioners to sell their work. The process is simple – design a product in 3D using a free online tool such as Google’s Sketchup, upload the designs, then allow Shapeways to take care of the rest, including prototyping, manufacturing, marketing, and selling the product. All the artist needs to decide is how much mark-up to charge. They can even allow others to customise their designs through the ‘Co-creator Platform’. Materials that can be used include ceramic, glass, stainless steel, and silver. 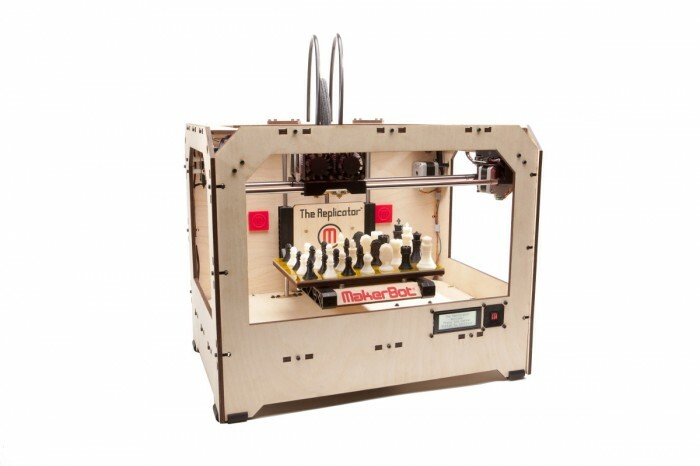 For a completely DIY approach, the advent of the desktop 3D printer is now enabling creators to manufacture their designs themselves, in their own homes and workplaces. 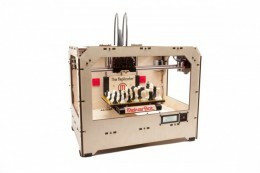 For example, Makerbot Industries now sell their ‘Thing-O-Matic’ 3D printer for just US$1300. This is in effect “a little high-production factory that sits on your desktop” (3). Five years ago, a machine with these capabilities would have cost upwards of $100k. Small quantities of raw materials can now be sourced through Inventables, and an incredible range of components and parts through Alibaba. Once products have been made, setting up one’s own ecommerce shop is now relatively simple and cheap through merchants such as Yahoo or Bigcommerce. The effect of these technologies on the speed of innovation is incredible – a new product can now be conceived of, designed, prototyped, manufactured and sold within a matter of days. How can Australia become part of this revolution? Visionary government support is required to enable Australia to fully realise the potential benefits of these technologies. It is recommended that immediate support is provided to support creative practitioners, researchers, community groups and innovative businesses to integrate personal fabrication technologies into their workplaces, education programs and creative practices. 1.Pilot Programs – Allocate support for pilot programs to disseminate information and provide training in the processes and technologies involved in digital manufacturing. 2.Establish an Australian ‘Fab Lab’ – Provide funding to purchase the equipment needed to establish Australia’s first Fab Lab, to enable people to trial these technologies for themselves. This could be in a fixed location, however a ‘Mobile Fab Lab’ (a portable computer-controlled design and machining shop) would enable information to be disseminated across Australia through a national touring program. 3.Education – In the longer-term, it is recommended that small scale personal manufacturing labs are established in research institutions, higher education facilities and schools across Australia, and training is provided for educators in design and manufacturing technologies. By providing support for the development of these emerging technologies, Australia can truly position itself at the forefront of this new industrial revolution.